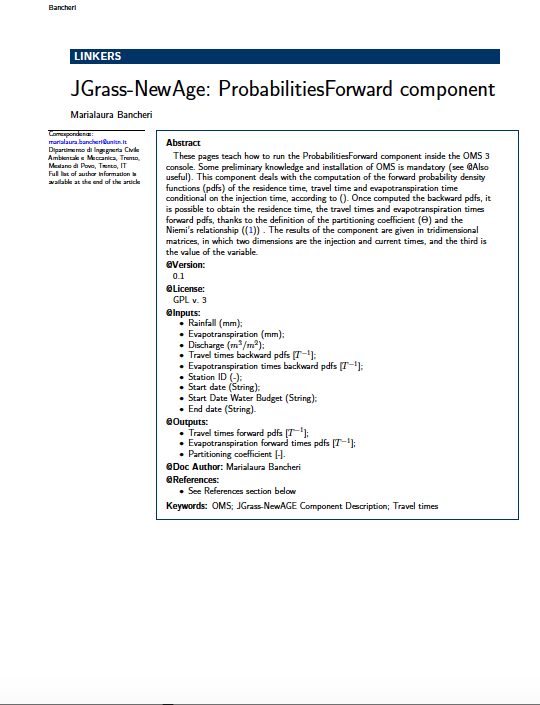 This is the documentation of the JGrass-NewAge Forward probabilities component . Clicking on the following link you will redirect to Slideshare. 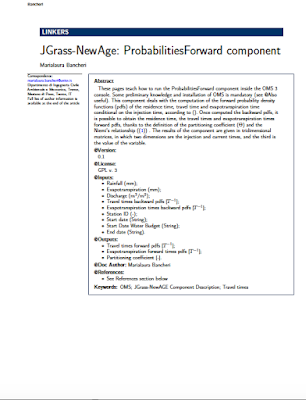 we are using a layout, and we can share it easily. Sure, it could be possible to produce it automatically. Just need some work in OMS.